It's Denaun Porter, the producer behind Eminem, D12, Xzibit, Busta Rhymes, Game, Lil' Kim, Obie Trice, G-Unit and so many more. Before he helped 50 Cent P.I.M.P, he was P.U.M.P.ING up a huge cast of rappers with monster tracks. He'll take us back to his first placement and help you get to first place. We also have sick feature on Kerry 'Krucial' Brothers. -Drew Spence, Editor in Chief Producer's Edge Magazine. 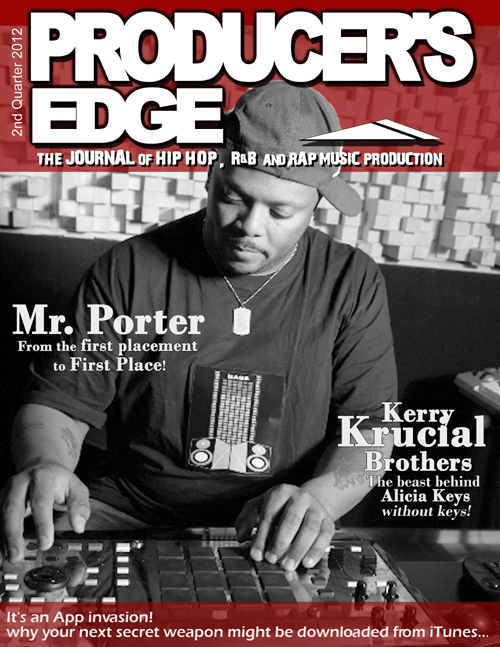 Copyright 2006, Producers Edge Magazine. All rights reserved.